Parents will receive a Skylert, closing will be posted on our website, Facebook page, and Twitter. Closing information is on www.emergencyclosings.com. We review wind chill chart from the National Oceanic and Atmospheric Administration (NOAA). If the air temperature reaches -10°, we will strongly consider closing school. If a sustained wind chill of between -25° and -30° is forecast, we will strongly consider closing school. We will generally make a decision and communicate with parents between 5:30 and 6:00 a.m. If possible, a status update will be provided to parents the evening before. 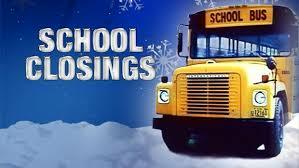 If schools are closed, all school-related activities are cancelled.